China now mulls a rail link to the both Nepal and Yadong, a Tibetan county close to Sikkim border. Chinese officials say that in future it can be connected to India. (TibetanReview.net, Aug06, 2016) – Chinese railway experts have said their country had the technology and experience to build a line from Tibet to South Asia, travelling at a speech of more than 100 km/hr. A Himalayan train ride at more than 100 kilometers per hour at the foot of the world’s highest snow-capped mountains and oldest glaciers is no longer just a dream, China’s official chinadaily.com.cn Aug 5 cited the experts as saying. They were cited as saying that with more than 19,000 km of high-speed — up to 350 km per hour — railways, China had accumulated the technology and experience to build a rail link between the Tibet Antonymous Region and the South Asian subcontinent. Speaking at a forum in Beijing organized by the China Tibetology Research Center on Aug 4, the experts have said that their proposed Himalayan railway would start from the southern Tibetan city of Xigaze (Tibetan: Shigatse), run to Gyirong (Kyirong), a land port on the Nepal-Tibet border, and extend into Nepal, although it would not be a high-speed railway. China began operating its first railway line between Tibet and China in 2006, connecting the Tibetan capital Lhasa with China through Qinghai Province. And in 2014, it built a 250-km rail link between Lhasa and Xigaze, the region’s second-largest city. Trains run at 100 km per hour throughout the Tibetan rail system, which according to China’s railway plan for 2016 to 2020, will stretch from Xigaze to Gyirong, the report noted. India currently has only one railway line travelling at above 100km /hr – the Gatimaan Express travelling the short distance between New Delhi and the Taj Mahal city of Agra at 160 km/hr. The report noted Nepal’s hope that China will connect Gyirong with its capital Kathmandu, becoming a part of the Belt and Road Initiative proposed by Chinese President Xi Jinping. The report noted that after a meeting between Chinese Premier Li Keqiang and Nepalese Prime Minister KP Sharma Oli in Mar 2016, the two countries said their governments will further discuss the construction of a cross-border railway and also support companies conducting preliminary research. 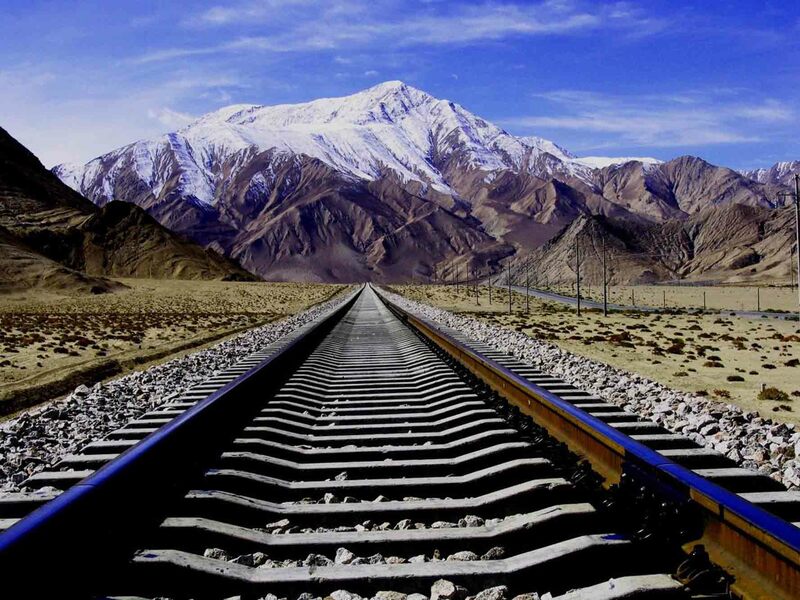 The report cited Ma Jiali, a researcher at the China Institutes of Contemporary International Relations, as saying a trans-Himalayan railway would be of great economic value as it could later connect China, the largest economy in Asia, with India, the continent’s third-largest economy. There are no suggestions yet that India has taken an interest in such a trans-Himalayan, international railway line project. China’s current plans and proposals include building three railway lines from Shigatse to the borders of India, Nepal and Bhutan by 2030: a Shigatse-Purang line reaching close to the borders of India’s Uttarakhand state and Nepal, a Shigatse-Kathmandu line through Kyirong, and a Shigatse-Yadong line to reach near the borders of India’s Sikkim state and Bhutan.